You've arrived at Morgan Detyens' Notebook, a kid-friendly, fur-lovin' site for tweens and teens and everything in between, where you can share all of your reading adventures with friends! Check out my new books, goofy cartoons, and cool illustrations. I hope you enjoy this site as much as I've enjoyed creating it. Next time when you come for a visit, don't forget to bring a friend (or two)! COMING SOON -- MY NEW COMIC NOVEL FOR KIDS! 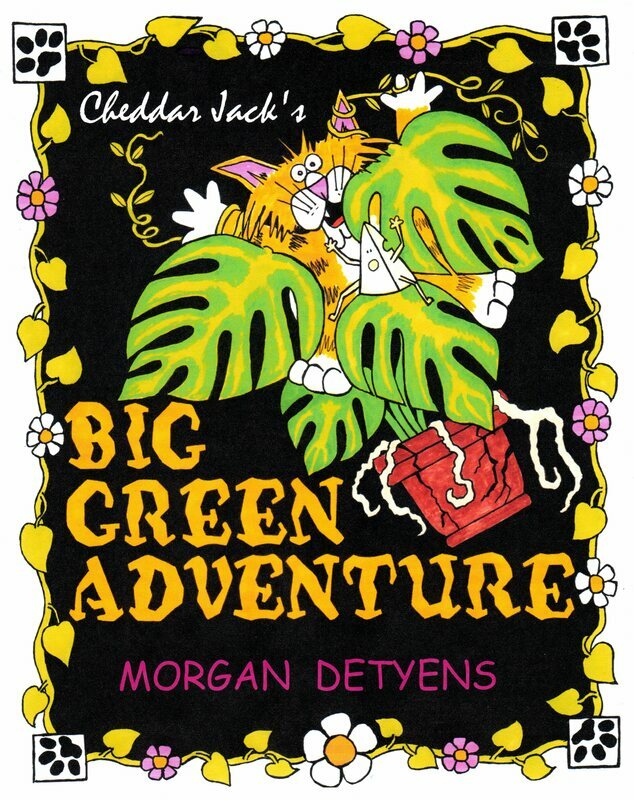 Idaho author and cat cartoonist Morgan Detyens takes young readers age 7 and up, on a new fun-filled frolic with Cheddar Jack, a cat who just LOVES cheese! Jack's cheesy adventures continue as he takes on a vicious new villain in his never-ending quest for cheese. Will Jack succeed in saving his family (and their cheese) from his ferocious foe? Book One of the Willowgate Chronicles, Secret of the Dragon Blood Ruby, is now available from Amazon.com. For more information, click here. Book Two, The Nine Lives of Shaidu, the Warrior Cat, is also available as a Kindle e-book and hard copy at Amazon.com. For more information, click here. My illustrated children's book of short stories and verse The Dreaming Hour, is available at Amazon.com as well. For more information, click here.